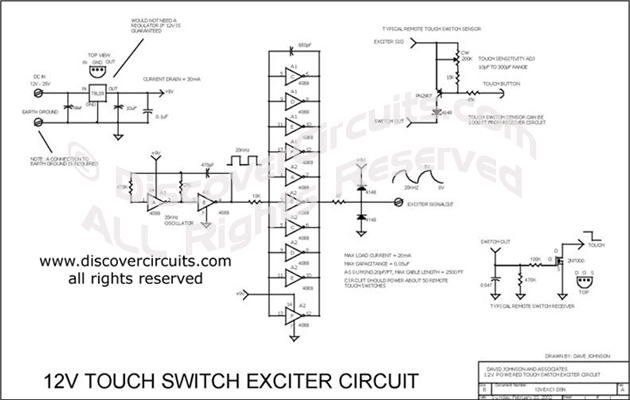 Circuit: 12V TOUCH SWITCH EXCITER CIRCUIT __ Circuit designed by David A. Johnson, P.E. This circuit is designed to generate a 20KHz pseudo sine wave signal that can power about 50 remote touch activated switch circuits. It can support a cable length of about 2500 feet. A typical remote switch circuit is also shown as well as a receiver circuit for those switches.